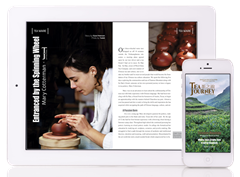 TEA JOURNEY IS A MOBILE, MULTI-MEDIA CONSUMER MAGAZINE that delivers the growing global community of passionate tea drinkers interested in “all things tea” in three issues annually. The digital publication launched in June 2016 following the third-most successful periodical campaign in Kickstarter history. Donors contributed $128,000 in 60 days! Please click here to see our media kit, including specifications and other valuable information. 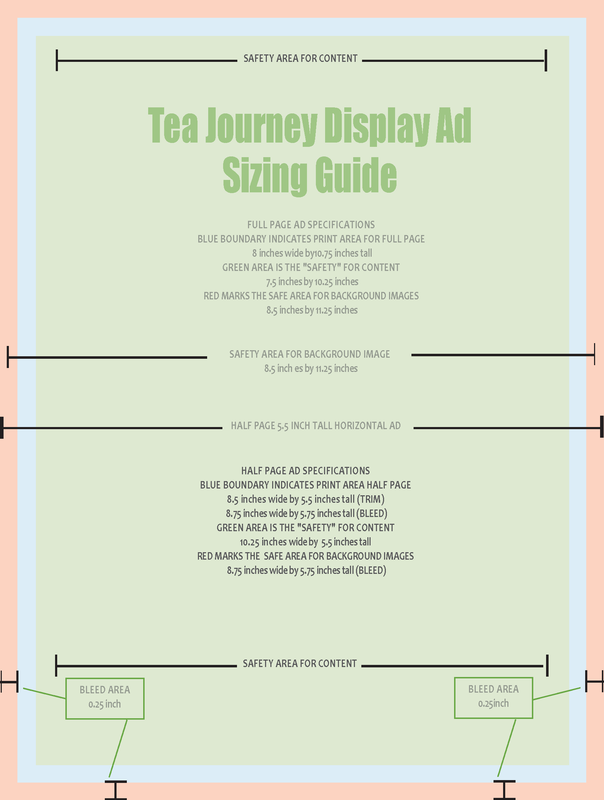 Tea Journey attends tea festivals around the globe, travels to tea conferences and is allied with hundreds of tea retailers who believe that the more customers learn about the origin and the processing of artisan loose-leaf and pyramid bagged tea, the more likely they are to buy. Tea Journey shifts the focus from tins to terroir (soil-sun-rain) … from packets to people. 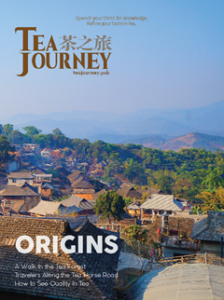 Click to download the high-resolution digital version of Tea Journey Magazine. Delivery is via a mobile app (Google Play) and (Apple iOS) browsers with a print-on-demand option. Content is optimized for search and easily shared via Facebook, Twitter, Google+, Instagram, LinkedIn, and email. Click here to see how easy it is to build your own AccessAD. Download artwork specifications for PDF print-on-demand. “Tea is proven to enhance the well-being of those who drink several cups a day. Our mission is to inspire readers to discover and refine their taste in tea. The process of discovery cultivates an appreciation for the craft of growing, processing, and preparing great tea. Discovering a favorite tea increases the frequency of consumption which becomes a daily ritual and, in time, a healthy life-long habit.